For the fire fighter in your life, our American Fire Fighters-To Serve and Save t-shirts and sweatshirts make the perfect gift. Show your pride and support for our brave men and women! Add an American Fire Fighters-To Serve and Save coffee mug as a special treat. 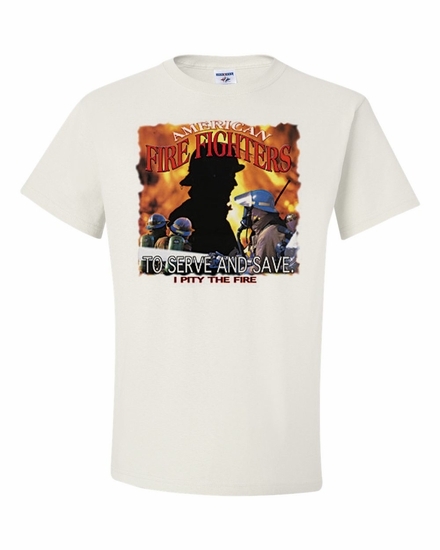 Remember� you found the American Fire Fighters To Serve and Save Shirts at TShirtHub.com, where high quality came at a low price.